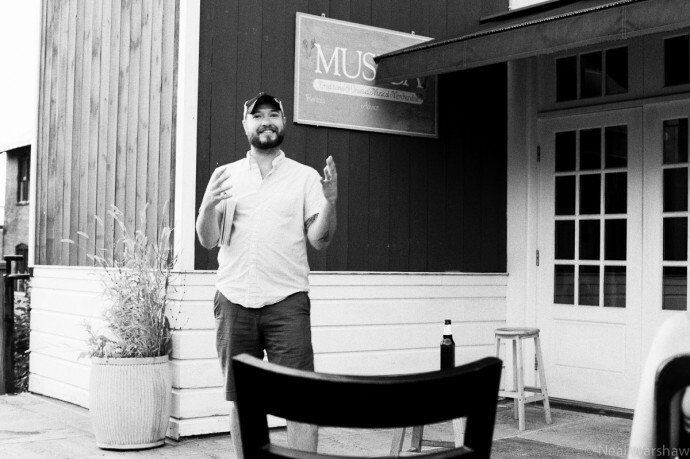 Aaron Burch, writer and editor of the excellent literary journal Hobart, crafts stories about people looking for a way out. His debut collection Backswing (Queen’s Ferry Press) runs the gamut of subject matter, tone, setting, and syntax, but every story seems to zero in on a person clawing their way toward some small piece of perfection. Fanzine recently spoke with Burch about prophets, people eating cars, and book design. FANZINE: You did a really great interview with Matt Bell a little while back that covers a lot of the larger questions about Backswing. I was hoping to ask you some more fine-grain ones. One of the things that really jumped out to me in these stories was the presence of intense religiosity. Prophets, true believers. When you were growing up did you have a very religious upbringing? AARON BURCH: I did. I was raised Mormon, and baptized Mormon. And then we left the Mormon church when I was maybe 9, and sort of wandered our way through religion and landed at the Presbyterian church that we became really involved in. And so one hand we were really involved in church, but as theologies go, Presbyterianism is a pretty relaxed one. So it was kind of weirdly both at the same time, in that I was going to Youth Group every week and Church on Sundays, but at the same time it wasn’t like Mormonism or something more intense. FZ: I have a friend who was raised a Jehovah’s Witness and I think that vocabulary really stuck with him. Do you feel the same way? AB: I do. I’m pretty quick to acknowledge my heavy Brian Evenson influence, and I remember him talking about having grown up and being so involved in the Mormon Church that— that lexicon becomes part of you. So no matter how involved you stay or not, it’s still that vocabulary that you grew up with. And I think it’s really fascinating: on the one hand the strict vocabulary—the actual language, the words are words that I like and are in my reservoir and I sort of draw on. And then the bigger, more metaphorical vocabulary: When I’m looking for a theme to deal with, landing on something like the Ark seems like an interesting archetypal story to play with. FZ: The idea of the prophet comes up in a lot of these stories like “After the Leaving,” “The Stain,” and “Church Van.” The figure of the evangelical prophet seems intensely American and very current to me. AB: I see that. I’m dealing with a prophet or what that means in a lot of these stories. In some of these stories that are dealing with religion I think I’m writing very ‘American’—very ‘contemporary American’—stories. And so maybe that’s even a more natural fit than I would have thought, this idea of the contemporary American dealing with these kinds of prophetic questions and figures. At the heart of it is you wanting to look toward somebody to lead you, to answer some sort of questions for you. And I don’t think I’d connected it to that sort of prophetic interest that’s coming out in the stories, but one of the common themes throughout all the stories is characters who are looking for answers, looking for somebody to guide them. In part because it’s universal, and in part because a lot of these characters are hesitant to make a decision on their own. They’re almost looking for someone to be like, “OK, you don’t have to decide between these two things—here’s the right one.” Because that seems so much easier. So maybe that’s a natural outgrowth of these stories. I knew that I was dealing with that desire. And so who would you look to? Often, some kind of prophet-type figure. In some stories that’s explicitly a prophet, in others that’s a father-figure type character. FZ: It seem like a very universal thing to be lost and to be searching for some type of guidance or beacon or advice. Of course I’m not trying to pigeonhole this as a Christian book — it’s not that at all. On the book’s cover it mentions how the characters in Backswing are “seeking perfection,” and in many cases this idea of “perfection” seems like a pretty good stand in for God. AB: It doesn’t have to be God. In a lot of stories it pushes toward that, because again it’s in my vocabulary, and I think it’s an interesting topic and theme. The common theme of mine is characters who are lost and searching for something, and sometimes that means religion and sometimes not. And it’s sort of there, but doesn’t always have to be. FZ: Some of them happen to find some religious organization, and other ones, like in “The Neighbor,” there’s a guy smoking pot in someone else’s basement. AB: I think when I was putting the book together some part of me struggled with, you know, there are kind of a range of different stories. And certainly at the end, the obvious pinpoints are the more explicit religion-allegory, and the more straightforward realism-domestic. And then there’s a bunch of stories sort of flowing between that. And at some point I asked myself ‘Well, are these stories trying to fit together, or am I just throwing in my 14 favorite stories?’ And I feel like I had trouble sort of explicitly saying how these stories were connected. But in every story they’re trying to find some way out. Some type of deliverance. Sometimes it’s God, sometimes it’s a God-figure, sometimes it’s pot, and sometimes it’s a good girlfriend, or whatever [Laughs]. FZ: I found a bunch of stories in the collection—like “Church Van”—are both about what happens and the language of it happening. The creation or subtraction of story. Is that a theme you consciously try to explore? “Church Van” is told both from the perspective of a grieving man who decides to eat a van, and then from one of the believers who has to try and piece together this thing that’s happened. AB: I’m curious about process and about the characters or the story itself figuring out the language of itself, or the language of its own world. I do think that’s really interesting and something I wanted to play with. I tried “Church Van” two different ways, and I think the first half of the story is what I often think of when I think of the story and what was maybe fun about writing it. What makes it work is that turn, where until the second half happens, it’s just an interesting conceit. This guy is just eating a van. You’re like, “Oh that’s interesting, but I’m not sure where it’s going, or what it’s doing.” And I think even as I was writing it I wasn’t sure where it was going. But then at some point I was like—I’m curious. From the outside looking in, how would you take that? How would you try to explain it? And how would that translation go wrong? At some point when I was putting the book together, I had a really metafictional story anchoring the book. And at various times I thought it kind of heightened some of those elements in interesting ways. I ended up pulling it because I think it maybe over-heightened it, and made the book as a whole seem too metafictional. It reframed the stories in a different way. It made it a different book. FZ: You never really get to know about the stories that didn’t make the collection. It could be a completely different book with that kind of meta-closer. AB: I thought so. And I know, as a collection reader myself, I skip around all the time. I’m reading stuff piecemeal. But then when it’s your own book, you’re like, “Well, most people won’t read it beginning to end, but if they do, what should be first, and what should anchor the book, and how is that going to work.” In the same way of having that strong one-two punch on an album. FZ: Speaking of very literal book construction, did you have any input on the design of the book itself? AB: I did. It was kind of all about back-and-forth dialogue. Which is one of the best aspects of smaller publishing. I’ve done some book layout myself, and I’ve figured out what I like and what I don’t. And I even told [the Queens Ferry editor], “I might be annoying about this because I care about little things. And I’m going to push back if I don’t like where the page numbers are.” And she was great. She wanted me to be as excited about the look of it as I was about the stories themselves. 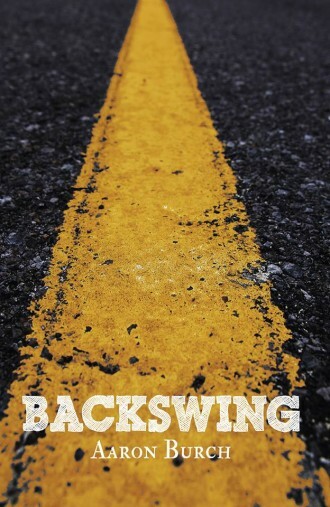 Backswing is now available from Queen’s Ferry Press. Willie Fitzgerald the co-founder of APRIL, a festival of small press literature held in Seattle. His work has appeared at Hobart, Keep This Bag Away From Children, City Arts Magazine, among other places.